we were craving some seafood so we went to this crab place called the fiddlers crab house on the river front. 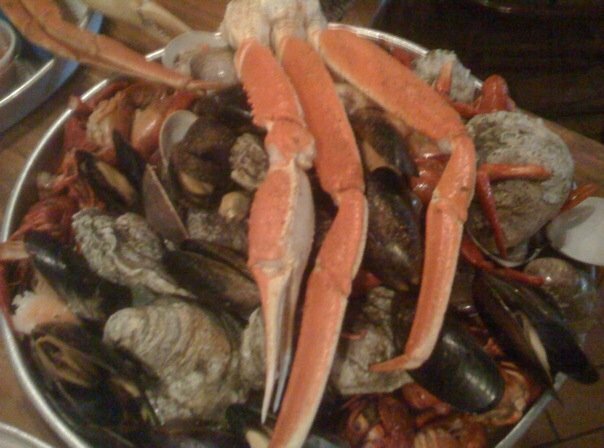 my wife and i ordered the seafood platter steamed…mussels, crab, oysters, clams, shrimp and crawfish. great place for seafood. there is a hole in the middle of the table where a bucket is conveniently dropped in so you can deposit the shells…nifty idea. great seafood if you are in savannah.